Our annual end-of-year concert is a great way to showcase the talent we have at Dance Habit. It also rewards students for their hard work by giving them the opportunity to dance on stage for their loved ones. The concert is not compulsory, but we strongly encourage participation as it is a truly wonderful experience for all involved. Together, we create memories that will be treasured for a lifetime. The excitement and magic generated by our annual concert is second to none! Please read thoroughly and let us know if you have any questions. * Note: Move with Me and Preschool Acrobatics students do not participate in our end-of-year concerts but instead have Open Days at their last class of each term. Our Preschool Concert is held separate to the rest of the school and further, we split all our Preschoolers into three separate “mini” concerts. This decision was made in an effort to keep the event short for all families and to ensure sufficient availability of tickets. An announcement regarding the start time for each concert and which classes will feature in each will be made in Term 2. We have lots of Preschoolers (not surprising given our expert Preschool team that you’ve all grown to love)! 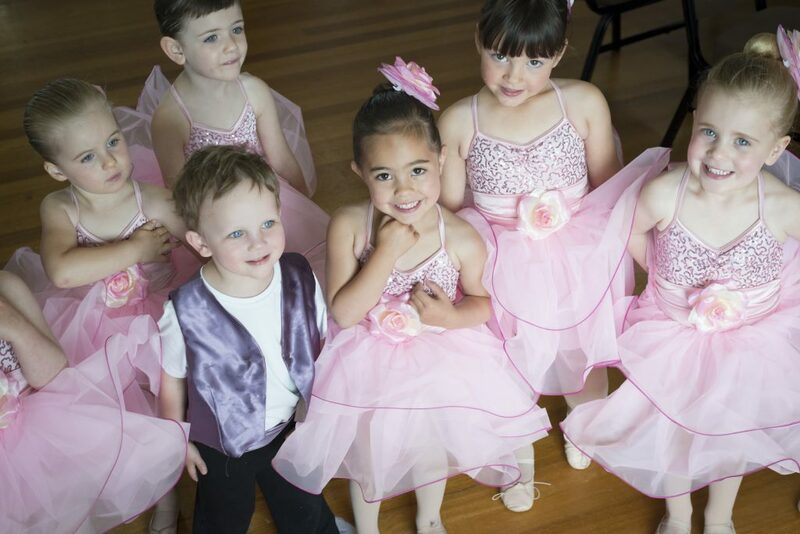 A separate show means the Dance Habit team can focus entirely on our youngest students during their concert experience. We are committed to ensuring our end-of-year concert is stress-free and enjoyable for all families. We appreciate that a shorter event is more practical for our Preschool families, many of which also have younger siblings. Preschool families are still welcome to come and watch our children’s and adult school concert if they wish (and vice versa). IS THIS YOUR FIRST CONCERT WITH US? For first-time dance parents, we promise the preparation is worth it. We’ll be there every step of the way, so you know exactly what’s required (and when). Watch this video for some insight into what happens backstage! All students must complete a Concert Compliance Form, including those choosing to opting out. These are due to be returned to your teacher as soon as possible and no later than Saturday 22 June 2019. Click HERE for a copy of the form. WHEN IS THE PRESCHOOL CONCERT? Preschoolers only dance in one concert. Please note that dancers are required early as we hold a dress rehearsal and take professional photos prior to each concert. Dress rehearsal is super important as it allows the children to familiarise themselves with the theatre and have a practice on the stage. Parents are not permitted to watch the dress rehearsal (unless volunteering as a backstage guardian) so you will have an hour or so to go and get a coffee/have a walk. Most studios hold dress rehearsal on a separate day but we like to make it nice and easy for you! We want to ensure all dancers feel confident on the day and it is important that no one feels rushed, so please be on time. Note that students who do not attend dress rehearsal may not be permitted to dance in the concert. WHERE IS THE CONCERT HELD? This will be our second year hosting the Preschool Concert at the Altona Theatre. The Altona Theatre is located at 115 Civic Parade, Altona. The theatre has a carpark. HOW MUCH WILL THE CONCERT COST ME? We work hard to minimise the costs associated with participation and do not charge a concert levy. Please visit our Preschool Financial Guide for more information on costume and ticket fees. Here’s a quick video to give you some helpful tips for the day – what to pack, what to wear to the theatre and what happens when you arrive. Click here to view. Before you book your tickets, please consider volunteering to assist backstage. The concert is not possible without parent volunteers. We require a minimum of two adults per class to chaperone the children backstage. Volunteers must have a current Working With Children Check (WWCC) and are required for the dress rehearsal prior to the performance and for the duration of the concert (approx 2 hours, 15 mins total). Parent volunteers are able to share in the excitement with their child backstage – and you can watch from the side of the stage too! You will not require a ticket for the audience if you are volunteering backstage. Please contact us if you would like to volunteer. Note that there are no limits per family and it will be first-in, first-served. This means that we will take no responsibility should tickets sell out. We will send reminders so please be sure to read newsletters and the noticeboard to avoid disappointment. You do not need to purchase a ticket for performers. Children under two years do not need a ticket and may sit on a carer’s lap. Please leave prams in the car – there is minimal room in the foyer and they cannot be taken into the theatre. All students will be provided with their costume plus ballet tights (if required). Hair accessories will be handed out on concert day so please bring bobby pins to secure these on arrival. Costumes are yours to keep after the event. Please note that all students must wear pink ballet shoes unless otherwise specified with you in person. No child is permitted to dance in bare feet at the concert. If you need assistance with purchasing ballet shoes, please contact us – there are a number of second-hand options available to you. Note that Hip Hop students will be required to wear sneakers – we will confirm the colour of these soon! All classes are required to wear their hair in a ballet bun unless otherwise stated. We have additional hair accessories for all children, which we’ll give to you in the foyer on arrival. Please bring some bobby pins to secure these. A ballet bun tutorial can be found below. Very basic makeup is recommended so we can see your little dancer’s features on stage and also on the video. We understand however, that some parents may be adverse to makeup and for this reason, it is not compulsory. For those happy to wear makeup, we have prepared a video tutorial for you and also some product and colour recommendations. Any parents strictly against makeup must make this clear to their backstage guardian on drop off. In 2019, we are moving to digital downloads and streaming the concert. What this means is all families will be charged a $20 fee, which provides you access to all three concerts via a password-protected link. You can stream or download as many times as you wish. Digital download is a better quality product at a cheaper price and will enable you to view the footage from your computer, phone or tablet without restriction. You will no longer be restricted to the location of your DVD player or run the risk of damaging the disc. Physical DVDs will still be available to purchase for those who want one in addition. Some families have expressed an interest in also dancing in our Middle/Adult School end-of-year concert scheduled for Sunday 24 November, which we are happy to accommodate. Please express your interest with us by email so we can keep you updated on this additional event. Please contact us by email if anything is unclear. Your feedback is welcome and your cooperation and patience is sincerely appreciated. Happy concert season everyone – enjoy the magic!! WHAT DO OUR PARENTS HAVE TO SAY ABOUT THE CONCERT EXPERIENCE?